A classic study which, by synthesizing the approaches of psychoanalysis and group dynamics, has added a new dimension to the understanding of group phenomena. Acknowledgements. Introduction. Pre-View. 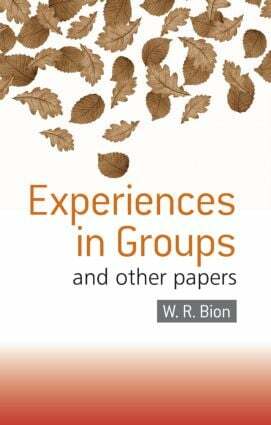 Intra-Group Tensions in Therapy: Their Study as the Task of the Group. Experiences in Groups, I-VII. Re-View. Group Dynamics. Index.